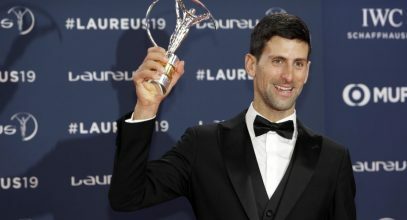 Today, Novak has moved into outright sixth place in the list of players who have spent the most weeks at No. 1 in the Emirates ATP Rankings. 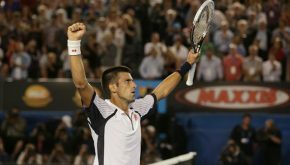 Nole seals historic Australian Open three-peat! 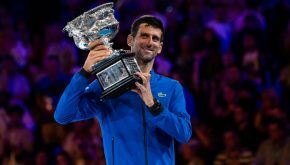 World no.1 rewrites history books winning third straight Australian Open title by beating no.3 seed Andy Murray 6-7, 7-6, 6-3, 6-2 on Rod Laver Arena. 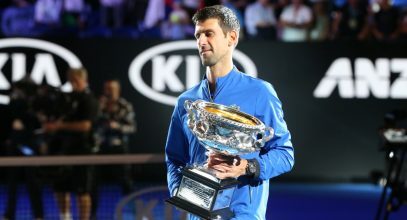 While biding to become the first three-peat Australian Open champion in the Open Era (since 1968), and looking to win his fourth title in Melbourne, Novak continues accomplishing outstanding streaks and records, making history of the grand sport.